Content Marketing Manager: @SNSC. Co-founder: @powtownpost. The rest is: family, friends, running, cycling, travel, coffee, wine, & croissants. Talks to strangers. Recovering Vancouverite; Torontonian in training. Cyclist. Arts aficionado. #bemyamigo initiative. Favours hugs over handshakes. 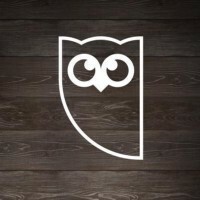 Hootsuite Ambassador. Social Media Guy. Gadget Geek. SciFi Nerd. Bookworm. Apologist. Metal head. History Buff. Tech enthusiast. Partnerships @Wistia, drinking wine and ranting about it. How can I help?